Baur’s Salon series continues with “The Co-Directors’ Eclectic Show” which features Scott Higgins, percussion and Susan Cahill, bass doing what they do best – performing their favorite pieces including new music, and inviting their musical friends to join them on stage! They’ll perform one of the most evocative pieces George Crumb ever wrote, Madrigals, Book 1, based on the poetry of Federico Garcia Lorca. Also, look forward to surprises with Jon Wilkerson, jazz music, and much more. 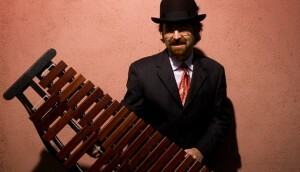 Scott Higgins is a freelance percussionist, teacher and composer. His great talent affords him the opportunity to play often with the Colorado Symphony, Colorado Chamber Players, Opera Colorado and Boulder Philharmonic. He is a member of the Colorado Ballet Orchestra and has been Principal Percussionist with the Central City Opera. Many of his compositions have been performed by local groups around the Denver metro area. Rice University’s percussion ensemble has performed his some of his recent percussion ensemble pieces, “Kinematic” in 2006 and “Funkadunk” in 2008. Before moving to Denver in 1999, he was assistant percussionist with the Louisiana Philharmonic Orchestra. 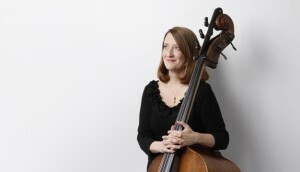 A Chicago area native, Colorado Symphony Orchestra bassist Susan Cahill studied with some of the great double bassists of our time, was selected as a young performer to join Sir George Solti’s Orchestral Project at Carnegie Hall, was Principal Bass of the Louisiana Philharmonic in New Orleans, was appointed Acting Assistant Principal of the CSO during the 2002 and 2003 seasons, has also been a solo performer with a number of ensembles. She has been a member of the Colorado Symphony since 1997. Susan has been active in chamber music and festivals in the West and elsewhere, performing with the Colorado Chamber Players, Strings in the Mountains in Steamboat Springs, Santa Fe Pro Musica, and the Peter Britt Festival in Jacksonville, Oregon. In addition to performing with noted Denver tango ensemble Extasis, she made her recording debut as a cellist on the Boulder Acoustic Society release, 8th Color. Susan performs on an instrument by Guiseppe Santori of Turin dated 1823. Music Appreciation Society is thrilled to partner with Denver Eclectic Concerts to present another wonderful and exciting concert in Baur’s Historic Salon. Dinner, dessert, beverages and small plates are available in the restaurant before or after the show as well as during intermission. Come celebrate eclectic, live, acoustic music at its finest and enjoy the wonderful acoustics and beautiful and intimate setting.